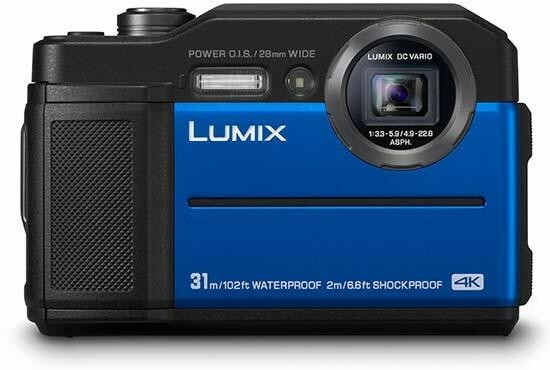 The Panasonic Lumix FT7 is a brand new, tough, compact camera. A 20.4-megapixel high-sensitivity sensor is joined by a 28mm wide angle 4.6x (28-128mm equivalent) optical zoom lens with Power O.I.S (Optical Image Stabilisation). New for the FT7 is a 0.2-inch 1,170k-dot equivalent Live View Finder for composing your images, while the 3.0-inch rear monitor boasts the highest-in-class 1,040k-dot resolution. Full-resolution high-speed burst shooting at 10fps is available along with high-resolution 4K video. The Lumix FT7 will be available in 3 colour versions: orange, blue and black, from July with an SRP of £399.